The Dantech range of security and asset labels provides a versatile solution to a wide range of industry applications offering clear evidence of tampering. 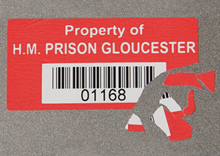 One type of tamper evident labels, once applied, will break up into small pieces if removal is attempted, thus providing clear evidence of tampering. 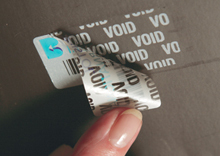 A special void security label will leave behind the word VOID if removed and it is impossible to place the label material back once removed. All labels are custom printed, incl. serial numbers and barcode if required to enable logging as issued and applied.